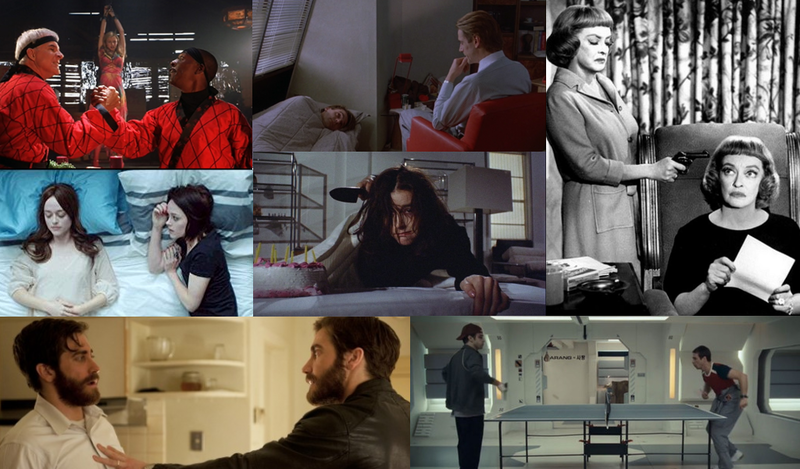 Preface: This is part of an ongoing blog series of curated movie marathons that are thematically or otherwise tied together. The other common factor tying these films together will be their availability to watch them all from the comfort of your own home on various streaming platforms. The goal is that writing this blog will somehow justify the excessive number of streaming platforms I subscribe to. 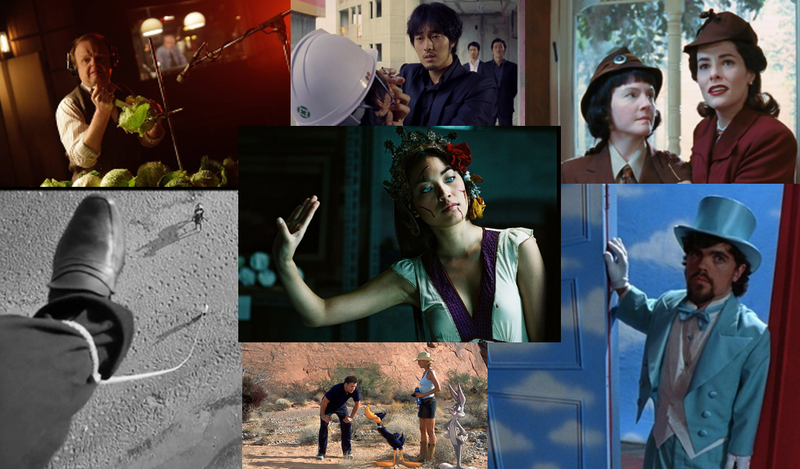 The films will be found on some combination of Netflix, Hulu, Amazon Prime Video, Mubi, FilmStruck, Shudder and/or Fandor. These titles will be available for the month that the blog is published. All of these subscriptions offer free trials so feel free to dive in and follow along… Have fun. Just don’t message me for my login information. Peter Sellers played three different and very distinct characters in Stanley Kubrick’s DR STRANGELOVE (’64). Each role a little more fun than the last. The first time I watched David Fincher’s THE SOCIAL NETWORK (2010), I had no idea that both Winklevoss twins were played by the same Armie Hammer. In a lesser known dual role, Trevor Mathews plays both the titular character as well as “Forest Troll” in Jon Knautz’s 2007 film JACK BROOKS: MONSTER SLAYER. But my favorite dual performance of all time is probably still Nicolas Cage’s Charlie & Donald Kaufman in Spike Jonze’s ADAPTATION (2002). Cage has an uncanny habit of showing up and delivering amazing and unforgettable work about once or twice a decade in the midst of a whole lot of other…. well… stuff. This was one of those times. Or two of those times. The construct of the plot is already so bizarre that Cage’s unhinged acting fits perfectly. But I digress, none of these films are available to stream at this moment. But these are. This is such a fun movie. Eddie Murphy plays Hollywood star, Kit Ramsey. 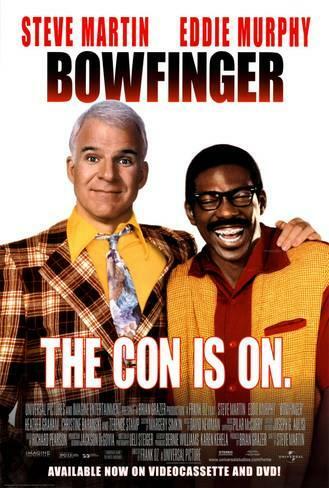 Steve Martin is Bobby Bowfinger, a down-on-his-luck filmmaker desperate for a hit. But, with no shot at landing a deal with Kit, Bobby settles for a combination of ridiculous guerilla filmmaking tactics and a Kit Ramsey lookalike “Jiff”, also played by Murphy. This was a strange time in Murphy’s career. He spent most of the latter half of the nineties reinventing himself as a much more kid friendly star with starring roles in the NUTTY PROFESSOR and DR. DOLITTLE. Both would see sequels in the coming years, leading of course to his beloved, annoying and very lucrative role as the voice of “Donkey” in the SHREK films. BOWFINGER was somewhat of a return-to-form for him. It’s pretty raunchy for its PG-13 rating. It’s also hilarious. So, if you’re like me and you started to skip Murphy vehicles around ’95 and you lumped this one in with the rest, you would be wise to reconsider. 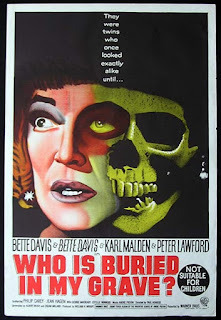 Margaret DeLorca isn’t the only character in this film with “Bette Davis Eyes.” That’s because Davis also plays her twin Edith Phillips who, after murdering Margaret, switches identities with her in order to live her sister’s lavish existence as a wealthy widow. Of course, after the deed is done, she finds that the grass may have only appeared greener. As it turns out, Margaret had her own slew of problems to deal with. Problems that are now the responsibility of Edith. This has long existed in my mind as somewhat ‘middle-of-the-road’ Cronenberg for some reason. But after rewatching it for this post, I can’t really say why. It is far better than I remembered. Irons’ performance(s) here is key. 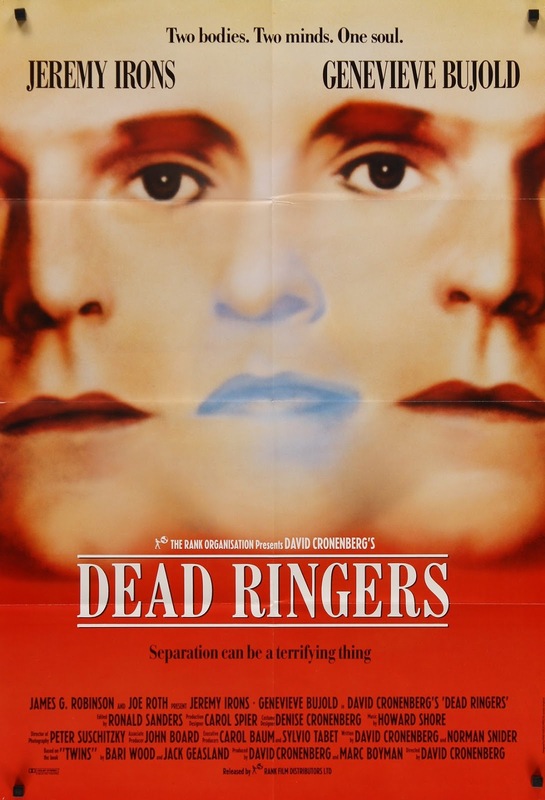 He plays identical twins Beverly and Elliot Mantle who, for various sinister and diabolical reasons, switch places with each other from time to time. And although the supporting characters are often in the dark, we the audience are always clued into which brother is which by Irons’ specific quirks and demeanors. In more recent years, Cronenberg has told stories like A HISTORY OF VIOLENCE (’05), EASTERN PROMISES (’08) and MAPS TO THE STARS (’15) that explore self-identity issues. 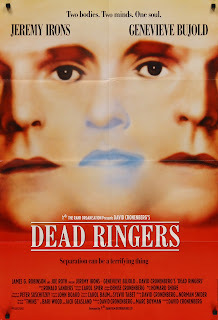 Now, thirty years removed, it’s easy to see DEAD RINGERS as a precursor of what the word ‘Cronenbergian’ would come to mean. And of course, it comes with a healthy dose of the body horror we’ve all come to love and appreciate from him. Villeneuve is a director that I have been getting more and more excited about with every film. 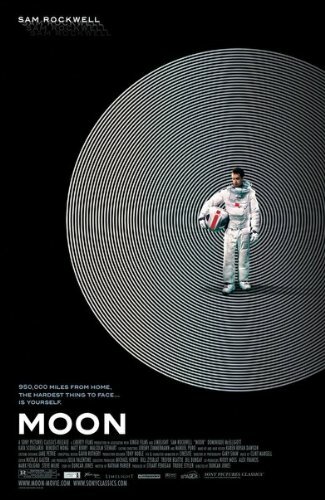 And although I wouldn’t put this one up there with his best works, it is fascinating and definitely worth a watch. It’s basically a tense build up to a gimmick with a bit of unexplained weirdness to garnish. It’s shot beautifully by Nicolas Bolduc and Gyllenhaal seems to have a lot of fun with his two tonally opposite performances. I absolutely adore this film. Although it’s probably best to keep its twisty ending unspoiled, I think there is so much more to this than the ending. Put simply, what are the moral and psychological implications of playing God? 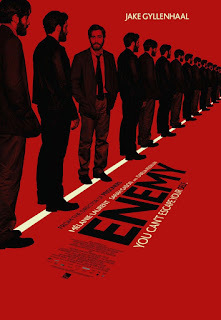 Sam Rockwell is one of the most underrated actors working today and this is one film manages to showcase many of his best performances. The screenplay and overall pacing is flawless as well. And when it comes to thought provoking sci-fi you won’t do much better than a Clint Mansell score. This was the best and most memorable performance I saw at this year’s International Horror & Sci-Fi Festival. 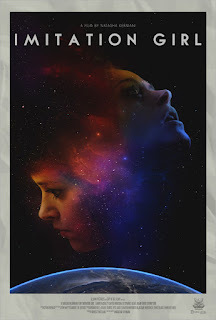 It’s a gem of a cerebral sci-fi in the same vein as Jonathan Glazer’s UNDER THE SKIN (2013) but with a smaller scope. This is the type of thing I get excited about during festival season. It may not be too likely to a gain a lot of critical acclaim. 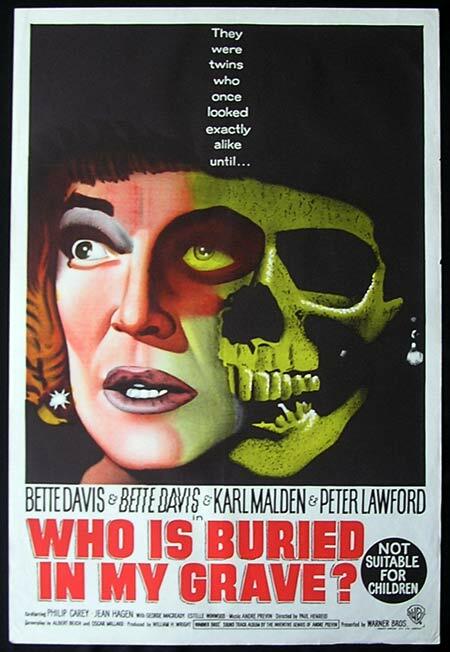 But every piece of this film, especially Carter’s performance is beholden to the vision of the director. And for that reason, I’ll be sure to keep an eye out for future work from Kermani. The world of cinema lost one of our greats earlier this year. And although she was best known as Lois Lane in the Richard Donner SUPERMAN films, I will always think of her first for her work in this film. 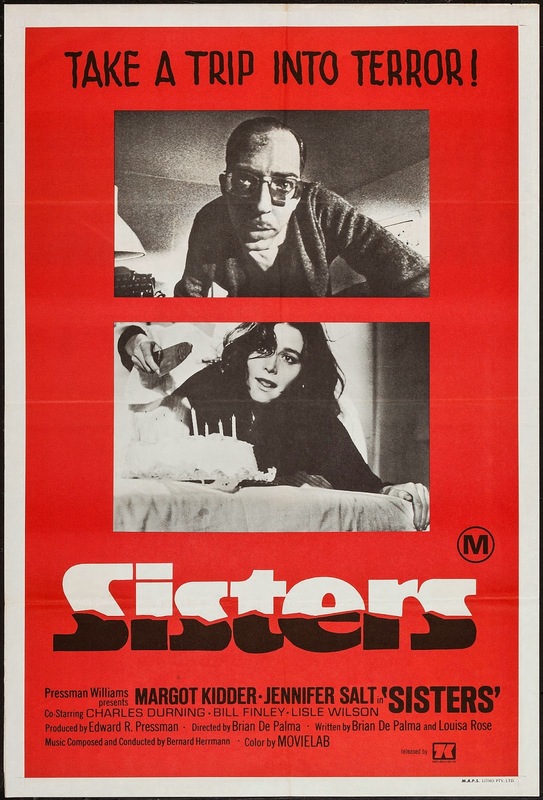 Brian De Palma was my first favorite director. As a budding young cinephile in the early nineties, I took special note of how he constructed the suspenseful scenes in his films like THE UNTOUCHABLES, CARLITO’S WAY and MISSION: IMPOSSIBLE. I didn’t realize at the time that what I was actually watching was an homage and emulation of Hitchcock.